It’s 1918 during the World War I. Charles is a wounded officer who lost his legs and lives alone in his family mansion. He hires a young nurse Angèle to take care of him and his horse. Angèle has her wounds that she needs them to be healed. She lost her husband during the war, and now she raises her daughter Louse alone. During her time spending at Charles’ house as a caretaker, they both develop a special bond and passionate feelings which they still need to find a proper way to use. When the film begins, you find Charles quite lonely in the big mansion. This is why he could not hide his excitement having Angèle and her daughter as temporary, maybe even as permanent residents of his enormous house. Walking with support and with one leg, Charles still manages to charm Angèle with his ability to play billiard with a glass of wine. As they exchange an innocent smile, their casual conversation will soon turn more intimate, when Charles finally proposes her. Angèle, of course, refuses in the beginning to accept his generous offer, even though that could have taken care of not only her future, but the future of her child. The thoughts of her husband is still somewhere in her head, as she cannot imagine herself with someone else. When Charles and Angèle finally tie the knot, but on her terms, Angèle feels that it will be more difficult to serve as a wife than she could have imagined. Charles, of course, realizes the same when he finds it difficult to spend one night with her even if that night was just once in a week. However, soon everything changes, when a young man appears in the mansion and Charles starts losing his patience…. 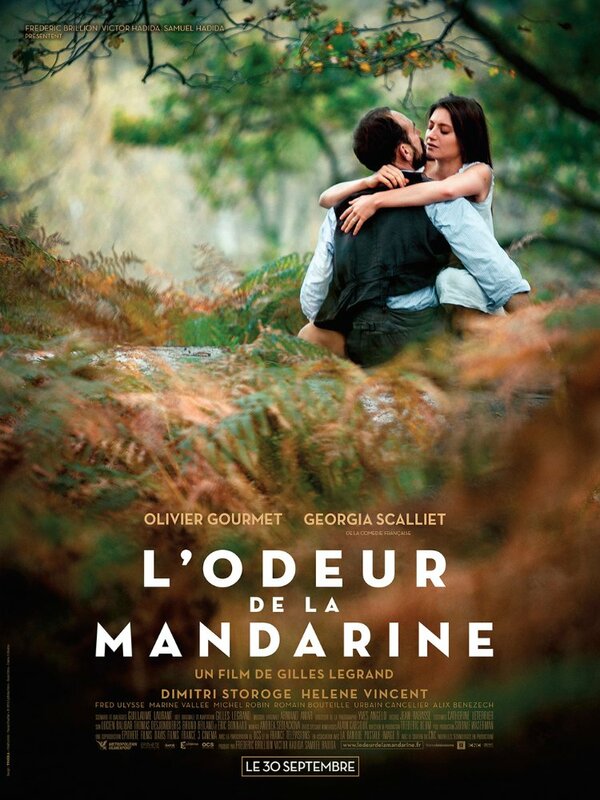 Gilles Legrand’s L’odeur de la mandarine is a beautiful film by all means. It captures subtly the relationship between Charles and Angle where you could feel there should be more than just a marriage arrangement. Angèle, who never appears as naïve and simple becomes more complex and unpredictable. As you watch her over the course of the film, you start understanding her better, and even support her till the end. That of course, would not be possible if not for great writing where there were no gaps in the storyline to complain about. Briefly, of course, the performance as well delivered by Olivier Gourmet and Georgia Scalliet will astound you. Both of them reach the peak of their performance, when through their image you see only Charles and Angèle. In conclusion, L’odeur de la mandarine is an excellent melodrama that concentrates on the story and never manipulates the feeling. It allows you to judge the characters and never tries to dictate you the way you accept them. That absolute freedom that you have throughout the film is a great feeling you would wish to experience every time when you watch a period drama.